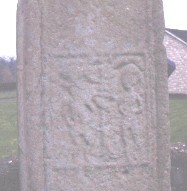 Davies, O., , ‘Tynan TD., Stone Cross’. In Survey of Ancient Monuments, Additions and Corrections, Ulster Journal of Archaeology (1941) 4, 42. Historic Monuments of Northern Ireland 1st, , Belfast (1983) . Reeves, D., , ‘Tynan and its Crosses’. In Journal of the Royal Society of Antiquaries of Ireland (1883/84) 16, 412-428. Reeves, D., , ‘Clonarb and its Crosses’. In Journal of the Royal Society of Antiquaries of Ireland (1883/84) 16, 428-431. Roe, H.M., , ‘The High Crosses of County Armagh. A Photographic Survey with notes on the Monuments’. In Seanchas Ardmhacha (1955) 1:2, 107-114.